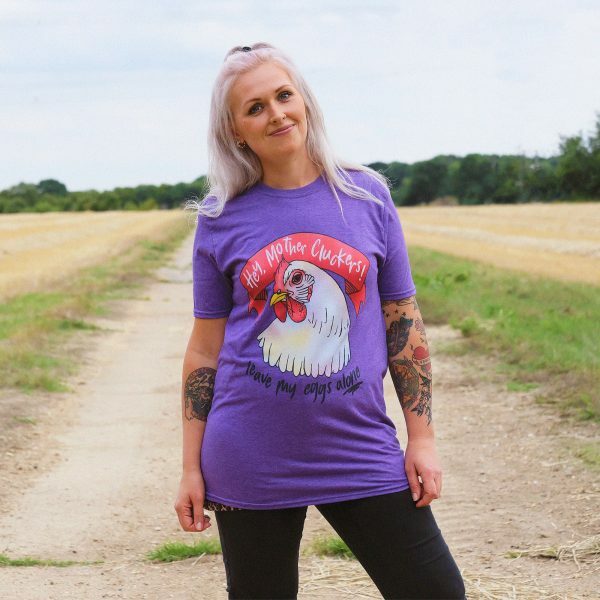 Use your voice for those that don’t have one, with one of our ‘Hey Mother Cluckers!’ unisex t-shirts. 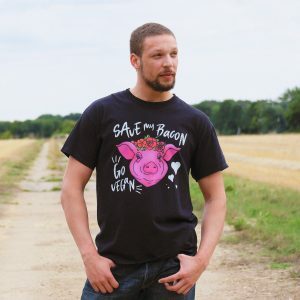 Each of our shirts are 100% vegan-friendly and organic, and are printed using toxin-free, non-hazardous inks that contain absolutely no animal by-products. 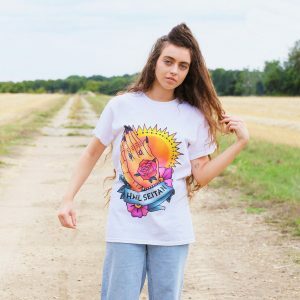 This 100% cotton t-shirt comes in 5 unique colours. 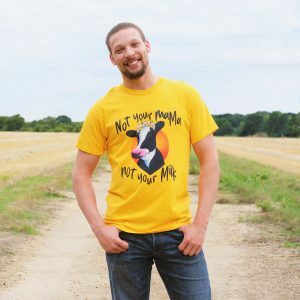 Please note that shirt sizes are listed as a ‘to fit’ basis (the shirts are to fit a person of those measurements), so the shirt will be slightly larger than the measurements given. Wash at 40 degrees or less. Iron on reverse (cool). Do not tumble dry.